Social Media | Dallas ZooHoo! Madagascar hissing cockroaches have some pretty wacky mating rituals. WARNING! This content is NSFW!…we’re only kidding, of course. Dating and relationships can be complicated, confusing and downright weird. But if you think your significant other is behaving strangely, just wait until you hear about how things go down in the animal kingdom. Seriously though, we’re here to educate. In honor of Valentine’s Day, we thought you needed to know about these three absolutely abnormal animal mating rituals. 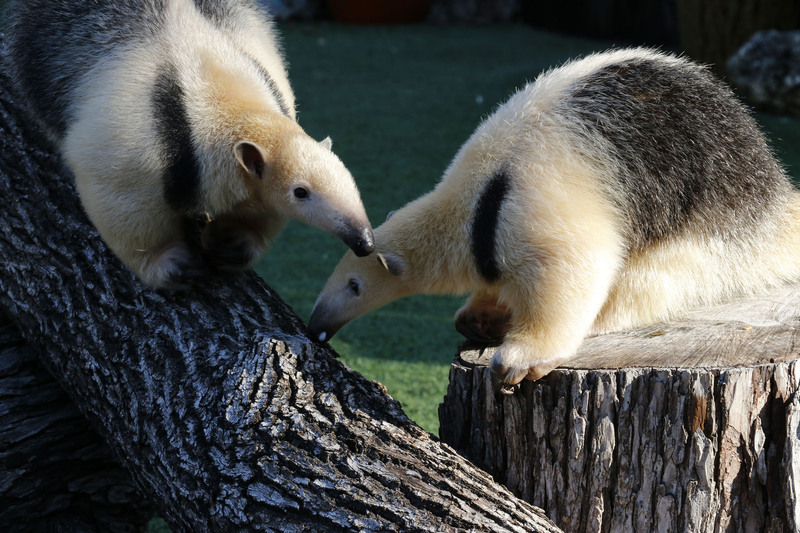 Also known as lesser anteaters, tamanduas use their long snouts to sniff out ant, termite and bee colonies. They can eat up to 9,000 ants in a single day! Their long claws enable them to dig into nests and climb trees, and a long, sticky tongue licks up insects. Tamanduas are solitary animals, until it’s time to find that special someone. Tamanduas are solitary animals, until it’s time to find a mate. This typically occurs in the fall, and if the timing isn’t exactly right, tamanduas will either ignore each other completely or begin fighting. Totally relatable, right? Zoologists have to closely monitor their behavior to be sure they introduce the male and female at the exact right time. Then once breeding has completed, they need to be separated again pretty quickly, or else the fighting may continue. Basically, they just want to be left alone. If successful, tamandua gestation lasts for 130-190 days. Babies are born with a solid-colored coat that looks pretty different from their mother’s, but they have those same large claws. Our female outreach tamandua, Chispa recently gave birth to little Abrazo, who is cute as can be. Abrazo will ride on his mom’s back for about 6 months, and he’ll stay pretty close to her for about a year before beginning his own solitary life. 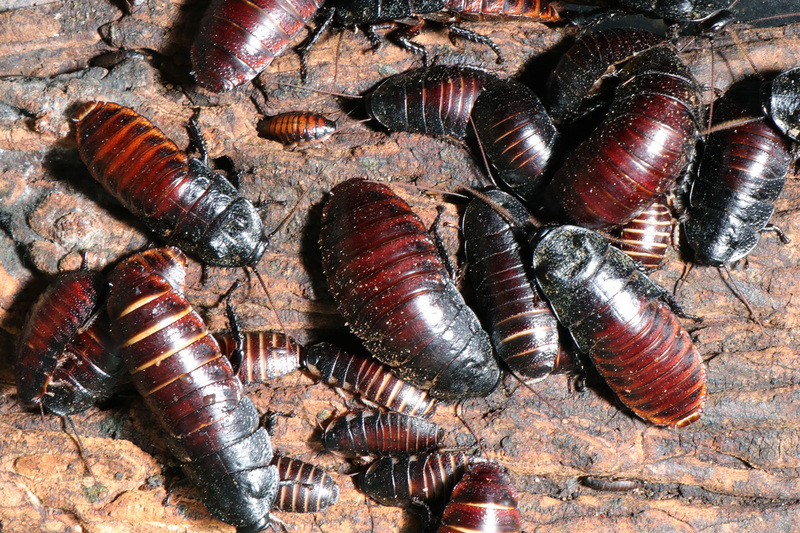 Madagascar hissing cockroaches aren’t anything like the roaches you may find in your apartment – as their name implies, these creepy-crawlers emit a hissing sound. Most insects that make noises do so by rubbing their body parts together (like crickets). However, the Madagascar hissing cockroach exhales air through spiracles, which are small holes in their abdomens. Male roaches will “hiss” to attract females, and females will emit an odor to let the males know they’re interested. Once they find each other, the males further express interest by rubbing the antennae of the female. After successful breeding, the female will carry around the egg case, called an “ooethecas,” for a little over 2 months until the nymphs (baby cockroaches) hatch from the case. Next time you’re at Bug U!, see if you can tell the males from the females — males have two horns on their thorax, and females do not. Male giraffe will sample the urine of potential mates. Giraffes are the world’s tallest land animal. Our tallest giraffe stands 17 feet tall! They may be incredibly tall and majestic creatures, but their mating ritual is downright weird. In order to determine if a female giraffe is fertile, the male will taste her urine. That’s right. Since giraffe don’t have a set menstrual/estrous cycle like other animals, this is the only way. Males can detect the females’ hormone levels just by drinking their pee. Once they know that the timing is right, they’ll follow their girl around for a few days trying to mount her. During this time, he may need to fight off competition! He’ll do this by swinging his impressive long neck around and whacking any other males who get in his way. The fertile female avoids her suitor for a while, until finally standing still long enough to do the deed. This may occur several times over the course of a few days. 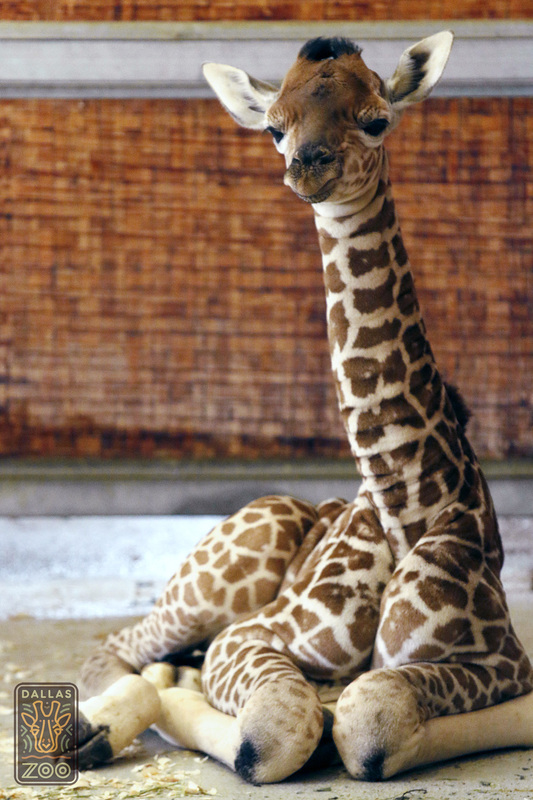 Once pregnant, the giraffe calf gestates for over 400 days. Well there you have it. Did this blog post make you blush? Let us know in the comments. P.S. If you want to learn even more about mating in the animal kingdom, join us for Love Birds & Wild Things this Saturday, Feb. 16. Our very own Dr. Raines will give you all the shockingly true deets about animal reproduction, plus you’ll get a special Zoo tour, light bites (including chocolate covered strawberries!) and a champagne toast. Tickets are limited and will go fast! Click HERE to reserve your spot now. We’re overwhelmed by the love you’ve shown today for our little Kipenzi, and to our grieving staff. Because you’ve asked a few specific questions, we wanted to answer them here for you. 1. Are you reviewing what happened? Yes. We are conducting a very thorough review of the incident down to the smallest detail, to examine every aspect and ensure that every opinion is heard. While some members of the media have used the word “investigation,” we believe this implies that we have to figure out what happened, or assign blame, and this is not the case. We were fully staffed and they witnessed every moment except the exact second she hit the wall, so we know what happened; no policies or procedures appear to be violated. However, what we WILL do now, with relentless focus, is examine the accident from every angle to look for ways to keep this from happening again. No one wants to prevent this more than our staff. 2. Will you change the habitat? At this time, we have no plans to do so. The habitat is a world-class design that sets a standard that zoos around the world have followed. Kip was in the smaller area of the Giants of the Savanna because it was safer for her than the big space, where she could get up more speed and would have had to avoid more obstacles, including other animals. This was a tragic, heartbreaking accident, nothing more. 3. Then how was she injured? Calves of all species, from horses to cows to giraffes and gerenuks, love to run around wildly. (Like toddlers.) We can’t put bubble-wrap around them, as much as we’d like to. Yesterday when the Zoo closed, the adult giraffes shifted toward the barn, but Kip and big brother Kopano wanted to play more. They chased each other through the habitat and ran in big loops around it. They got to the end of the habitat and Kopano turned the right way, but Kip instead made a sharp turn into the wall. She was a calf; she played like a calf. This type of thing can happen with any hoofstock, cows and horses included – and in the wild, where giraffes will stumble into depressions, fall, and calves run into trees or even another giraffe. 4. How could that hurt her so badly? A necropsy by our veterinary team this morning confirmed that Kip died from a broken neck – again, unfortunately, not an uncommon injury in giraffes, simply because of the long, slender way their necks are built. 5. Should she have been allowed to run, and was the habitat too small? We were very cautious about allowing Kip (and Kopano and Jamie before her) to grow into the larger yards slowly. Yesterday was no different than any other day since May 1, when Kipenzi first went out. She had been exploring and running in that yard for three months, and that’s essential to her growth and development. We couldn’t pen her up in a small area, despite the risk that she might fall or run into something. However, she was in the feeding yard because it was overall a safer place for her – the large Savanna would have been much riskier. So she was in her “baby gate” kind of place when this unfortunate, freak accident occurred. 6. How are the keepers? Our whole staff, especially our giraffe team, is devastated. We all deeply loved Kipenzi, as you did, and are grieving. However, our team is dedicated, devoted and strong, and we have other animals to care for through our tears. Everyone came to work Wednesday, and even some who were off came in to be here with their colleagues. We brought in counselors to help staffers, too. We have received many condolence gifts, from food to flowers and beautiful artwork, and we appreciate that more than you know. 7. How is Katie, Kip’s mom? Katie is eating normally and is finding comfort from her best giraffe friends, Auggie and Jade. She remains in the barn with a private yard while keepers monitor her closely to be sure she continues to do well. She’ll go back into the large habitat when she indicates that she’s ready. 8. Is the rest of the herd mourning? They are acting normally. Giraffes, while social animals, aren’t as emotionally connected with each other as some other animals, like elephants, primates and whales. In the wild, they must constantly be on alert for predators, so they are hard-wired to move on quickly after the loss of a calf. 9. What happened at the Zoo the next day? Operations were completely normal, and the giraffe herd was out in both areas of the habitat. Nothing was different because this doesn’t seem to be a mistake or an error on anyone’s part. It was a terrible accident, and a not-uncommon one in hoofstock. 10. Will there be a memorial at the Zoo for Kipenzi? We are definitely considering how to best honor her memory. Because she was such a remarkable ambassador for her species and for conservation – helping to raise more than $35,000 for our partner in Africa, the Giraffe Conservation Foundation – we chose to first suggest donations to that group. 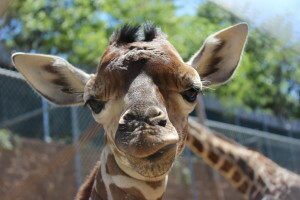 (Donate here: www.giraffeconservation.org) We need time to figure out what other memorial we wish to set up, but we will keep you posted here. 11. Will you have more giraffe calves? We are part of the national Species Survival Plan for giraffes, and will continue to breed when recommended. 12. What is Kip’s legacy? Kipenzi was undoubtedly the most recognized giraffe in the world, and her birth live on Animal Planet captivated millions. From the anticipation of her arrival to her first moments standing and her introduction into the Savanna habitat, Kip continued to melt hearts and bring attention to her species, whose population in the wild has been reduced significantly in recent years. The supportive emails, tweets and Facebook posts we’ve received and responded to throughout Kip’s life could fill volumes – she truly was a household name, and people connected with her deeply. When you voted for her name online, you were given an opportunity to donate to the Giraffe Conservation Foundation. Those donations raised $35,000 to help protect her “cousins” in Africa. 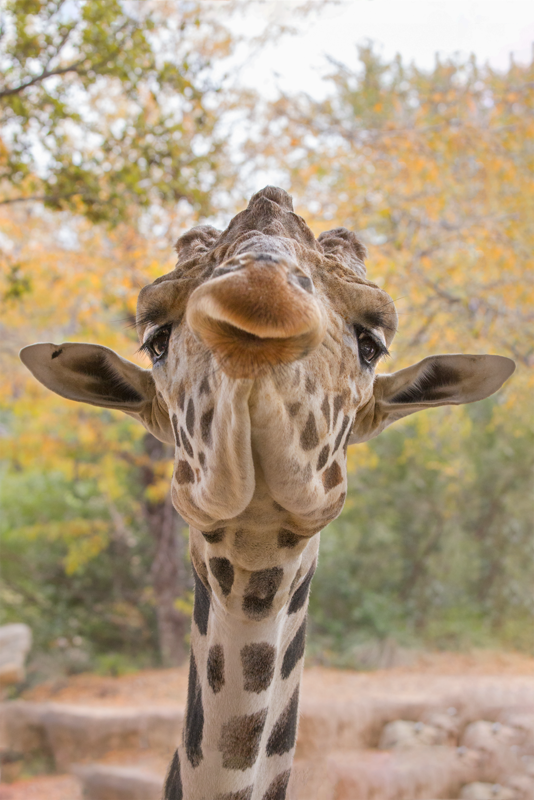 Following her passing, Kip continues to bring awareness to her endangered species, and the Giraffe Conservation Foundation has been flooded with more donations in her honor to help the plight of giraffes. Kip’s gave the public a front-row seat into the delivery and care of giraffes, all while inspiring conversations about what we all can do to save them in the wild. We’ve heard from parents whose children were enthralled with seeing a live animal birth right from their living room, classrooms who started research projects on giraffes in the wild, and guests who flew across the country to see the giraffe who was an inspiration for all ages – the stories are incredible. We will always cherish the light Kip was to so many, and her role as an ambassador for conservation will not be forgotten. 13. Will you continue to update us? Yes, of course. We appreciate your support so much. And we operate from a position of transparency, because we’re proud of the work we do and how we provide for animals in our care. We will respond as much as we can, but please understand that given the enormous outpouring of love, it is difficult to respond individually. But know that we are reading every single comment, and that they are helping us get through this difficult time. After seven days and more than 50,000 votes, the world has spoken: Katie’s famous calf is named “Kipenzi” (kih-PEHN-zee), meaning “loved one” in Swahili. 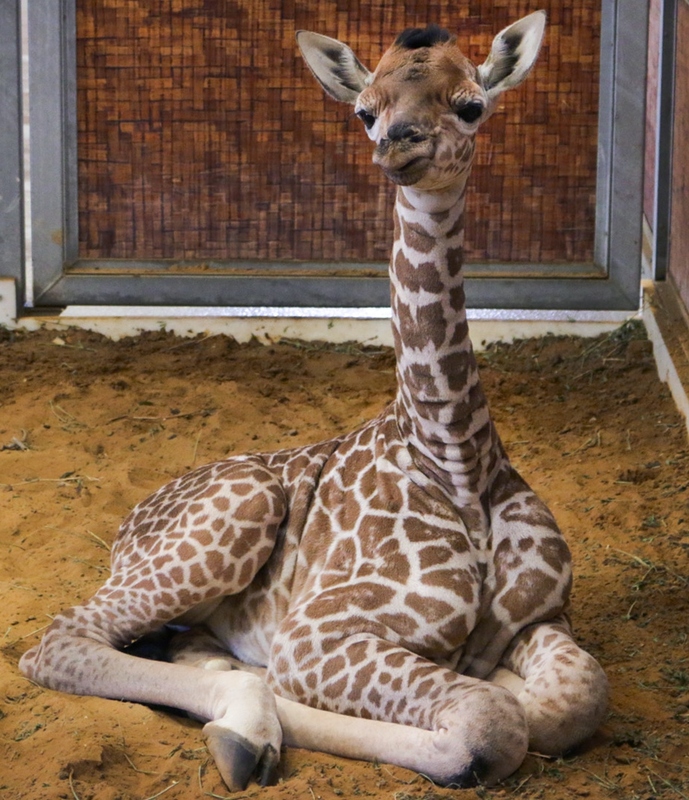 Dallas Zoo keepers revealed the name in a creative presentation Monday morning on the Animal Planet L!VE web cameras which first introduced the lanky baby to the world two weeks ago. Millions worldwide fell in love with Katie and her calf April 10 during a remarkable live birth shown to adoring fans on cable television’s Animal Planet and Animal Planet L!VE web cameras. The birth saw more than 2 million streams on APL.tv., and the “Giraffe Birth Live” TV special the next day drew 1.4 million viewers. The social media accounts of both the Dallas Zoo and Animal Planet received hundreds of thousands of messages of support for the unprecedented project. The cameras will remain live at apl.tv/giraffe until 7 a.m. Monday (April 27), when viewers will have to say goodbye to the little one they’ve grown to love. The calf has been gently introduced to the Giants of the Savanna outdoor feeding habitat over the past few days. Starting early next week, she will make regular appearances outdoors, weather permitting. Zookeepers will keep a close eye on wind and rain to ensure that Kipenzi remains safe and healthy. She will slowly meet all members of the herd, including her 6-month-old half-brother, Kopano, and 4-year-old sister, Jamie. Kipenzi has gained more than 30 pounds since birth and stands more than 6 feet tall. In the feed yard, she will join mom Katie and the only giraffe she’s met so far, “Uncle Auggie,” the zoo’s oldest and most patient giraffe who does the best around new calves. Kipenzi’s remarkable birth also has allowed the Dallas Zoo to raise money for wildlife conservation. A friend of the zoo offered to match any donations made in the baby’s honor, up to $25,000. All donations will go directly to help rescue and support threatened wildlife in Africa, including giraffes. Donations will be accepted through Sunday at bit.ly/KatieBabyGive. 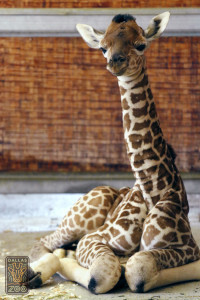 The calf’s father is Tebogo, one of the most popular giraffes at the Dallas Zoo. The now 13-member herd roams the award-winning Giants of the Savanna, the only U.S. zoo habitat where giraffes and elephants mingle alongside zebra, impala, guineafowl and other African species. The habitat is currently in the running for USA Today’s “Best Zoo Exhibit.” Please continue voting for us until Monday, April 27 at bit.ly/DZVote. A reticulated giraffe, Kipenzi is one of approximately 4,700 who remain, down from an estimated 31,000 in 1998, according to the Giraffe Conservation Foundation. Through the Species Survival Plan, zoos accredited by the Association of Zoos & Aquariums – including the Dallas Zoo – have built programs dedicated to ensuring appropriate breeding for genetic diversity. The millions of people worldwide who’ve fallen in love with our new viral star giraffe calf at the Dallas Zoo can now vote on the new baby’s name: Adia, Kanzi, or Kipenzi. Voting is free, but fans also have the chance to help rescue and support threatened wildlife in Africa, including giraffes. A generous friend of the Dallas Zoo has agreed to match any donations made in the baby’s honor, up to $25,000. All donations will go to conservation efforts around the world. CLICK HERE to vote now. Voting closes at 5 p.m. on Thursday, April 23, and the name will be announced the next day. Katie and her calf continue to be streamed live online at Animal Planet L!VE at apl.tv. Every dime raised from donations linked to the vote will go to conservation efforts. Although the Dallas Zoo is a non-profit zoological park itself, we will use 100% of the donations for conservation efforts around the globe. The zoo partners with many organizations to save animals from extinction, including the Cheetah Conservation Fund, the Giraffe Conservation Foundation, the Tarangire Elephant Project, and more. Q&A: Katie’s calf is here! Now what? We’ve been overwhelmed by the outpouring of love, support and interest in our viral star Katie and her sweet baby girl. It’s hard to put it into words how incredible this entire “Giraffe Birth Live” experience has been for the Dallas Zoo. We’re honored to have partnered with Animal Planet to show you the miracle of life as it unfolded live on your television screens. While we’re trying to respond to as many of you as possible on social media, we may miss a few of your questions and comments. Here are the answers to the questions we’re receiving most. Q. This was amazing. Why did you do this? We believe the public benefits from seeing what goes on behind the scenes at a leading, accredited U.S. zoo. We’re extremely proud of our animal and veterinary teams, and the excellent, dedicated care they provide. Showing this birth also allowed us to teach about giraffes, including how threatened they are in Africa. We hope that will convince more people to get involved in conservation efforts with the groups with which we partner to help preserve giraffes in the wild. Q: How can I help save wild giraffes? Please make a donation to our giraffe conservation partner that’s helping save giraffes in the wild. The Giraffe Conservation Foundation is at the forefront of protecting giraffe (sub)species in Africa. Click HERE to make a donation. Please follow them on Facebook and Twitter, too. Q: Now that Katie’s baby is here, when can we see her in person? Spring is here, which means rain in Texas! In a perfect world, the baby would go out within a week of birth to the giraffe feeding yard in the Giants of the Savanna habitat. However, the rainy weather is stalling that plan. Keepers have to wait until the habitat is no longer muddy for the baby to safely roam the area (she’s quite the runner already!). As soon as the rain subsides and the ground is dry, the baby will go out for you to meet. When that time comes, the baby will be out on select days during nice weather. We’ll share those times with you on Facebook, Twitter and on the ZooHoo! blog, but it’s always a safe bet to call before you visit, so you’re not disappointed. Q: For those who don’t live in Texas, how can we see the baby’s first day in the habitat? Our video/photography team will capture the baby’s first day out as she meets the public. We will definitely share this on social media! Q: It looks like Katie isn’t letting her baby to nurse enough. What’s happening? This is normal giraffe behavior. The average calf nurse is just 66 seconds, and can often be less than 10 seconds! Giraffes are built to survive in the wild, which means the calves have to get a quick mouthful of milk and move on because of predators. These guys are naturally on constant alert. Compared to cow’s milk, giraffe’s milk has more fat, protein and less lactose. 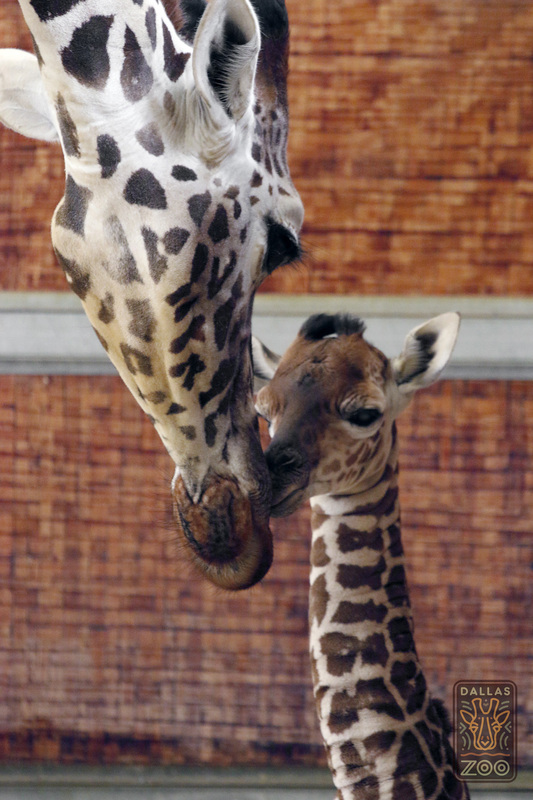 Each squirt of giraffe milk is extremely nutritious for the calf. The calf’s feedings look great to keepers, who are monitoring all activity. Q: When can Katie get some fresh air? Katie and her calf were scheduled to go outside into the outdoor area that’s not in public view today (Monday), but the rain changed that. (We can’t take a risk of the baby falling in the mud!) You may see Katie pacing in the maternity stall because she wants to go outside, but right now she has to do what’s best for baby. As soon as our keepers feel the outdoor space is safe, they’ll let the two roam in that area. Q: How is the baby going to be named? Our giraffe keepers are selecting three names. We have a recent policy of naming our animals after their native country — for example, calf Kopano’s name means “united” in Botswana — to further conservation messaging and to show respect for their wild brethren. We will open up the name selection to a public vote later this week on our website. Q: When will the Animal Planet cameras be taken down? We don’t have a date yet, but it will in all likelihood be this week. Once Katie and the calf head outside more often, there will be less to see! Q: Does father Tebogo recognize his offspring? Tebogo is interested in them, but there’s no way of telling if he knows they’re his children. He enjoys sniffing and licking them through the mesh, though.